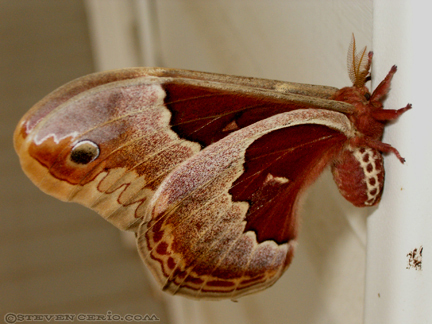 About a dozen Atlas Moths showed up all at once on my porch last summer…probably picked up on the pheremones of a female. I sat with them and one by one they landed on me. 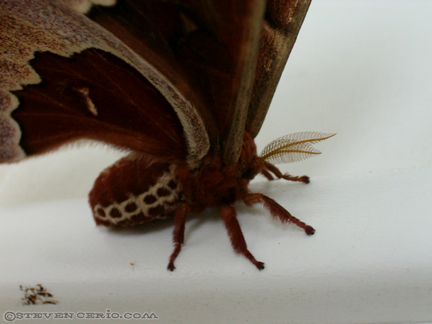 These are BIG moths (hence the name). 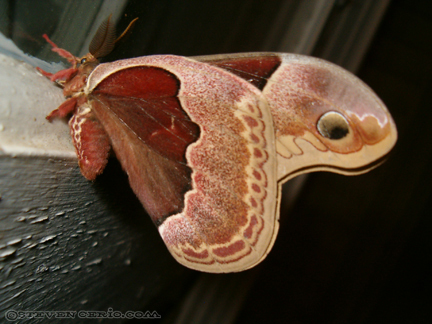 The only moth I saw that exceeded their size was a Luna moth that passed by me on the Appalachian trail near Cold Spring NY where I lived for a couple of years in the nineties. The town is 40 miles as the crow flies from Manhattan but the water from the faucets wasn’t drinkable at the time. I would catch a ride on the back of a neighbor’s pickup with my arms full of empty jugs that I’d fill from a spring on Mount Taurus. This was only days after I had moved there from Brooklyn. I couldn’t have been more thrilled. Seriously. Another benefit to living in Putnam County was being in close proximity to the drive thru sculpture garden in Storm King. If you’re ever in the Hudson Valley I highly recommend it. It’s intense if you’re a sculpture fan. I wanted to break the rules and climb all over them…and had fantasies about a picnic under a stabile.